It’s 32°c in Singapore, the humidity’s rising and the same is also true back in the UK can you believe? This can only mean one thing. It’s time for ice cream! Many of you will know that for the first 8 years of my adult life post-university, I lived without a freezer. No, not even a little one in the top of the fridge. Nothing. The result was a life devoid of ice for my G&Ts, frozen peas to accompany my Bolognese, and, most tragically, Ben & Jerry’s. I know, #firstworldproblems. I swore that upon reaching the heady heights of freezer ownership, I would immediately whip up a batch of home-made ice cream. I mean, what else do people who own freezers do all day? So upon moving to Singapore and to a condo that came complete with American-style freezer that, if push came to shove, I could probably fit myself into, the time had arrived to make ice cream. Only I don’t own an ice cream maker. This seems to be a key bit of kit. Oh, I know you can make it by hand; but let’s face it; all that mixing and stirring at regular intervals is just not going to happen. Nor am I going to buy an ice cream maker as I know myself too well…it will be used once and left to gather dust for the next 12 months until I remember I like ice cream again. So the only ice cream to have graced our freezer is the shop-bought variety…until now! 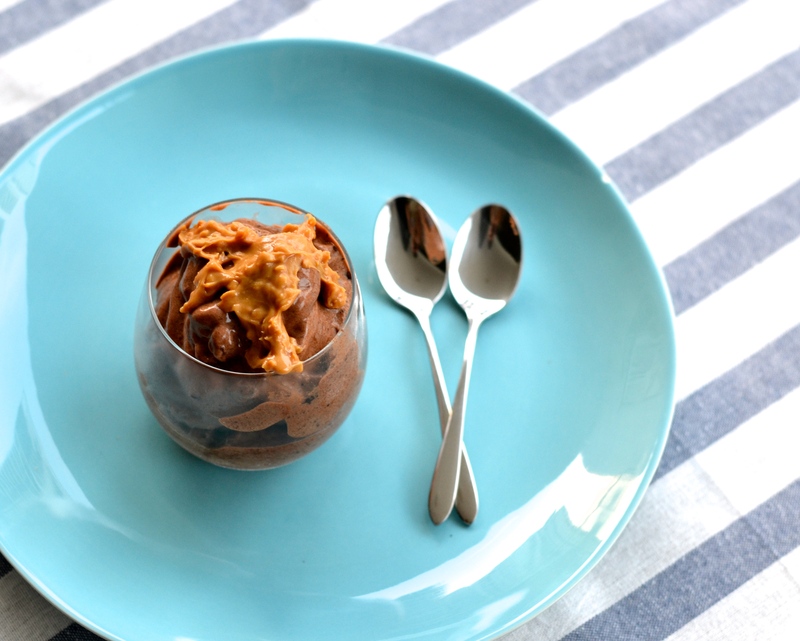 I came across this fabulous recipe for Chocolate Banana Ice Cream on A Pinch of Yum earlier this week. Ice cream is probably a bit of a misnomer as this doesn’t actually include any cream at all making it dairy free ice cream (if you use water not milk below). 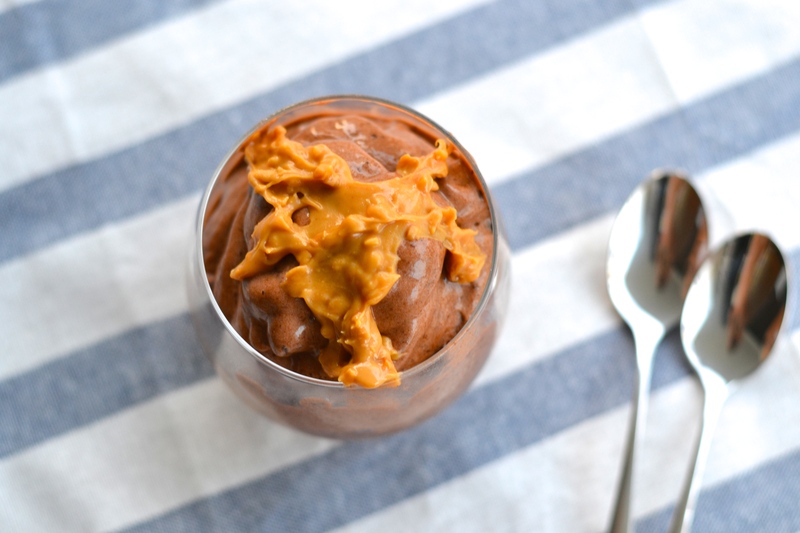 Not only is it healthy (well, compared to a traditional scoop of ice cream), the results are almost immediate and it requires no ice cream machine. Hurrah! Take it from me, it’s seriously delicious, tastes creamy thanks to the bananas, and the drizzle of peanut butter on the top is just inspired. Yum. 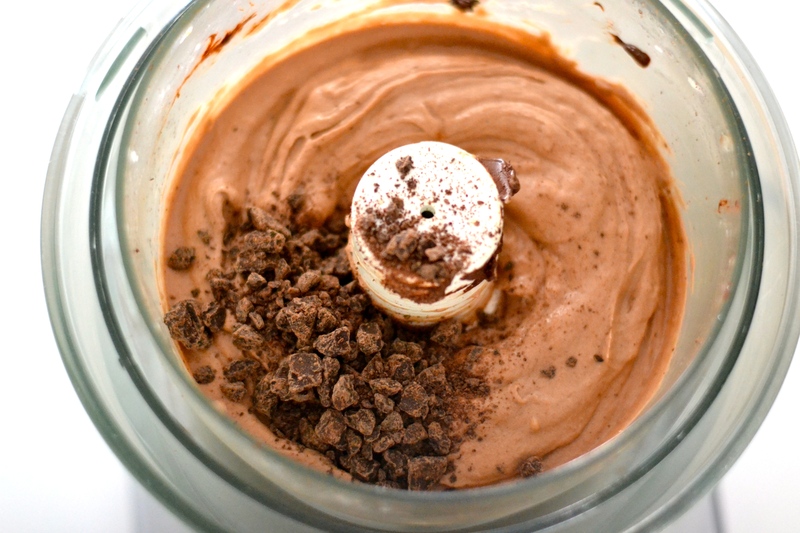 You need to make this now! 1. 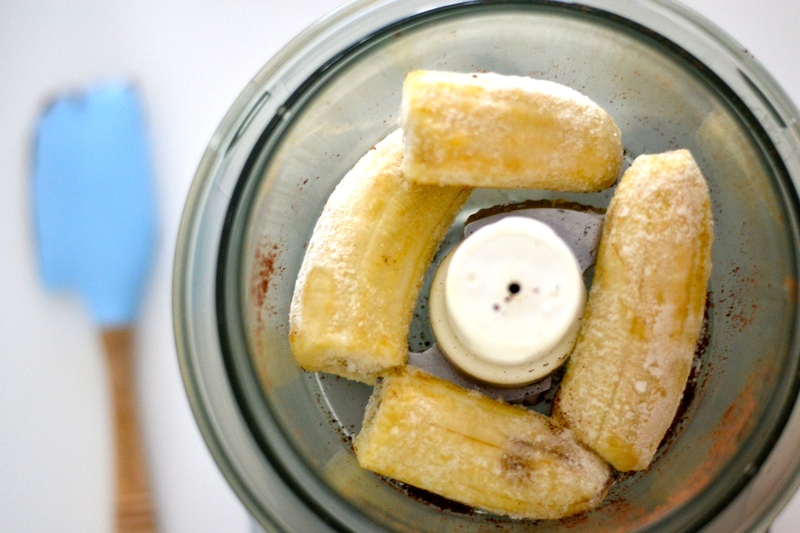 Let the bananas soften for about 10 minutes at room temperature – you don’t want them completely rock hard as they’ll damage your food processor but too soft and they’ll turn into a smoothie not ice cream. 2. 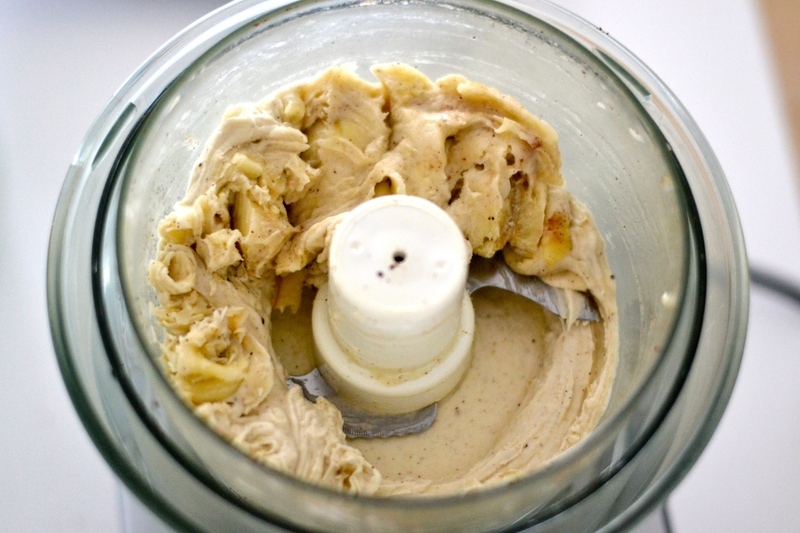 Pulse the bananas in a food processor until smooth. This is a heavy-duty task – a blender can do it, but it’s going to need some help (a few stirs here and there) to move through the blender smoothly. 3. Dissolve the cocoa in the water to allow it to be distributed evenly. Add the chocolate paste to the bananas and blitz again until evenly coloured a delicious brown. 4. 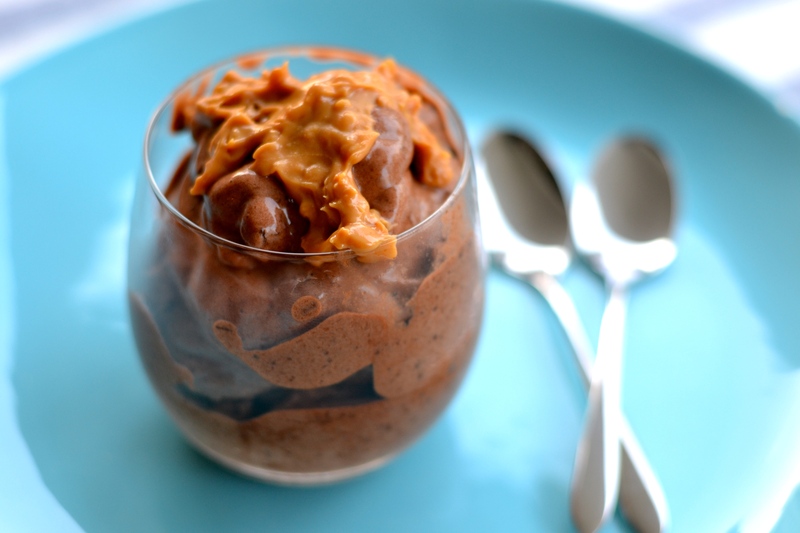 Stir in the chocolate bits and serve immediately, topped with some peanut butter if desired. You can also return it to the freezer to serve later. I love the banana based ice creams. You can make so many flavors. But I do think my favorite is chocolate.